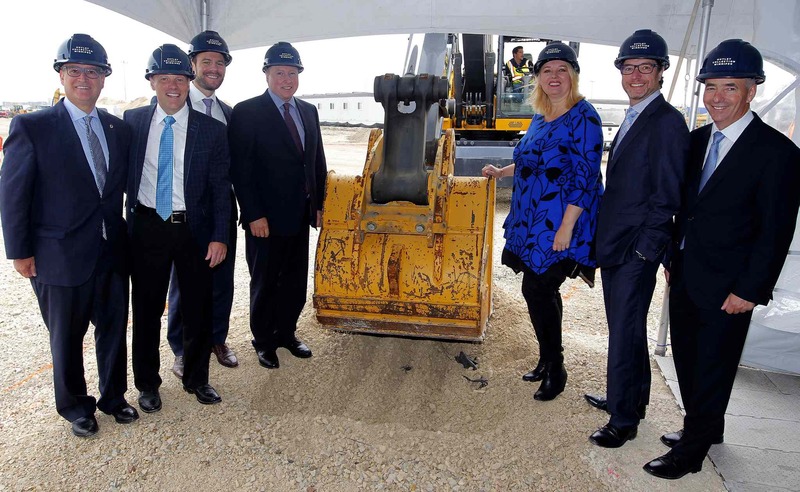 Winnipeg, Manitoba, September 25, 2015 – During an official groundbreaking ceremony held today, Ivanhoé Cambridge and its partners officially launched construction work for Outlet Collection Winnipeg, in Winnipeg, Manitoba. At the event, representatives from Ivanhoé Cambridge, Harvard Developments and Forster Projects were accompanied by Manitoba Deputy Premier Kerri Irvin-Ross and by Marty Morantz, City Councillor for Charleswood-Tuxedo-Whyte Ridge ward. Ivanhoé Cambridge and its partners Harvard Development and Forster Projects will invest more than $200 million in the project, which is set to open in May 2017. Outlet Collection Winnipeg will be Ivanhoé Cambridge’s second pure outlet centre to be built following the initial success of Outlet Collection at Niagara, which opened in May 2014. A third outlet centre is planned to open later at Edmonton International Airport in 2017. “Ivanhoé Cambridge’s expertise in the development of fashion outlet centres in Canada is unparalleled and we are confident that this project will represent an iconic shopping destination for both the residents of Winnipeg and tourists from the neighbouring provinces and northern US states,” said Blair Forster, President, Forster Projects Inc. “Outlet Collection Winnipeg represents the cornerstone of our overall vision for the 117 acre mixed-use project we have named “Seasons, which will undoubtedly make this area Winnipeg’s dominant retail address”. expertise to operating the centre once it opens.